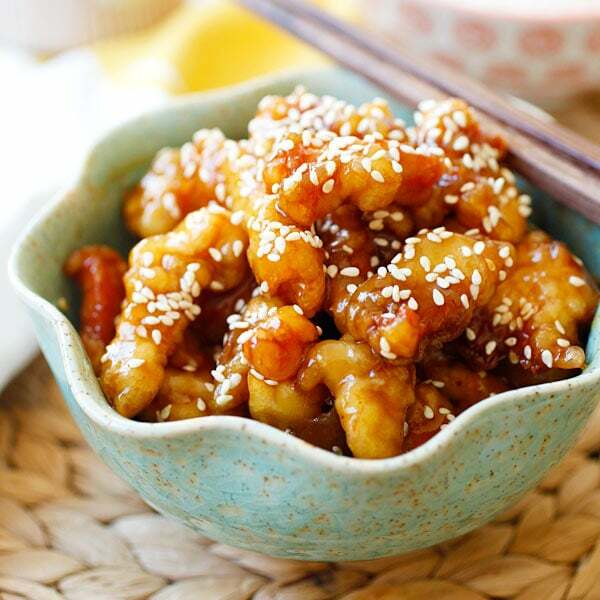 Sesame Chicken - Crispy chicken with a sweet, savory sauce with lots of sesame seeds. 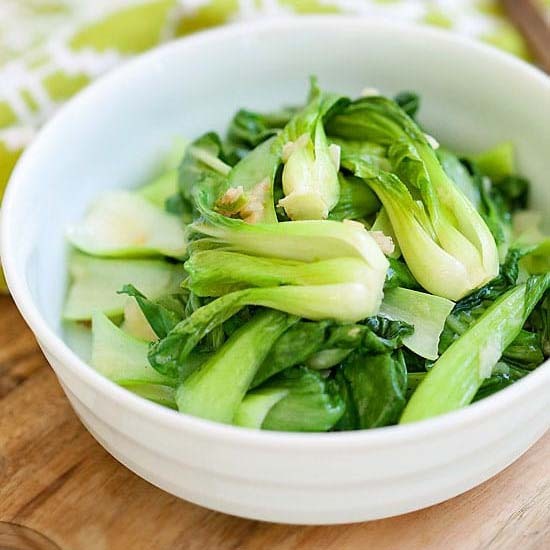 The best and easiest recipe that is better than Chinese takeout. Everyone loves this recipe – it is deep-fried and crispy chicken coated with a sweet, savory sauce, and speckled with lots of sesame seeds. Chinese Sesame Chicken is the golden child of takeout restaurants as patrons and diners just can’t get enough of it paired with a bowl of steamed rice. Is it the same as Honey Chicken? The only difference between this chicken and General Tso’s Chicken is in the sauce. This sauce calls for soy sauce, rice vinegar, sugar, cornstarch, and water. Lucky for us, I have decoded the secrets to making restaurant-style Sesame Chicken, with taste that rivals, if not better than, your favorite joint. My recipe tester gave this recipe two thumbs way up! The best thing about this recipe is that it’s fail-proof, so easy and anyone can make it at home. You can also check out the cooking video above on how to make it. For a wholesome dinner, I recommend the following recipes. Sesame Chicken - crispy chicken with sweet, savory sauce with sesame seeds. 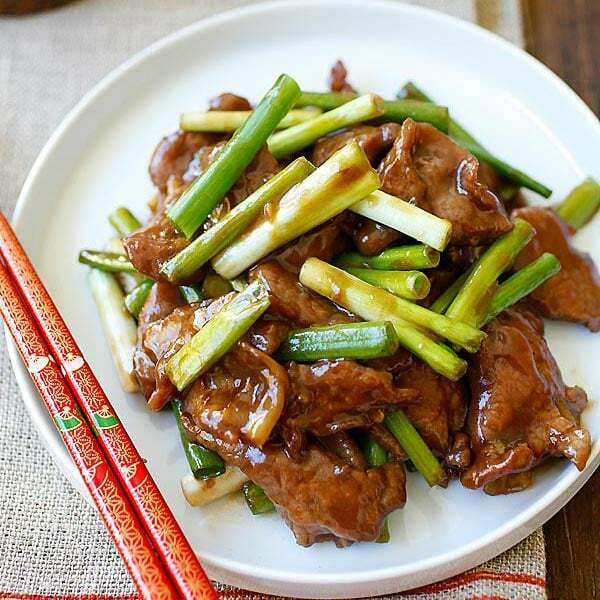 Best and easiest recipe that is better than Chinese takeout. Mix all the ingredients in the Sauce until well combined. Set aside. Mix all the ingredients in Frying Batter in a bowl until well combined, stir a few times to make sure there are no lumps and the batter is smooth. Add the chicken into the batter, stir to evenly coat with the batter. Heat 2 to 3 inches (5 to 7.5 cm) of the oil in a wok or a stockpot to 350°F (175°C) for deep-frying. Gently drop the chicken into the oil and loosen them up immediately with a spatula to prevent the chicken from clumping together. Deep-fry the chicken to golden brown. Remove the chicken from the oil with a strainer or slotted spoon, draining the excess oil by laying the chicken on a dish lined with paper towels. Discard the oil. Heat up 2 tablespoons of the oil in a wok or skillet over high heat. Add the garlic and stir-fry until aromatic before adding the Sauce. As soon as the Sauce thickens, add the fried chicken into the wok or skillet. Stir continuously until all the ingredients are well coated with the sauce. Dish out, garnish with the white sesame, and serve immediately with steamed rice. My batter is very thick because it will make the chicken extra crispy, even after adding the sauce. If it's too thick to work with, add 1-2 tablespoons water to loosen it up. Nutrish and delish. Can’t wait to make these. Even have the sesame seeds ready to go. Great inspiration. And we have the Superbowl coming ya know. As a gym teacher, I’d better watch! HI would this be suitable if I replace fish for the chicken? i love to eat this..especially when come to chew those tiny sesame seeds..hehe..omo, i am craving for this..
My Frying Batter is more like a dough than a batter. Is this right?! No it shouldn’t be, it should be liquidy. Add a little bit water. 1/3 cup. It was a typo. What ingredient do Chinese restaurants use to add a spicy kick to this? My home town place added something to spice it up but it wasn’t overwhelming and I can’t figure it out. They wouldn’t tell me when I asked, telling me if they told me people could make it for themselves and they would be out of business. I disagreed and said, no, it just allows me to know how they do it. Do you have any ideas what it could be. By the way, it was NOT sriracha. Any help would be greatly appreciated. Well, it depends on what dishes you are talking about. It could be anything, red spicy oil, dried red chilies. No Sriracha, it’s not a Chinese ingredient. Dried Red Chillies is what our favorite restaurant uses. O added dried chilies and green onoion… This was outstanding! Why did you use regular sugar instead of brown sugar? We use regular sugar to cook in Asian food. We never use brown sugar. Just tried this recipe yesterday – so much better than most of the takeout places around here! I wanted a little more flavor to my sauce, so I added some rice wine and sesame oil. Very savory. I’d like to experiment some more with the flavor – can you suggest any other ingredients to try? Maybe something to make it a little more tangy? Rasa! Best ever sesame chicken is right! Your recipes never fail me girl! A hit with entire family. Thank you for sharing. Hi Martha, thanks so much, I am so happy to hear that you love my sesame chicken recipe. My husband said this is the best chicken I’ve made in a while <3 and I make some good chicken dishes! He doesn't like any spicy so this was perfect. Even the tots loved it! I've been looking for the perfect Sesame chicken recipe, this is it, thanks! Thankyou for such a delicious recipe. The whole family absolutely loved it and I wish I made more as we woofed it all down and there was not a leftover in sight. I made this with Gok Wan’s special fried on the side. Tastes exactly like a takeout but even nicer. Made this tonight and we LOVE it! Definitely better than take out! Can’t wait to make it again! I wonder if it would also work with shrimp instead of chicken?? You can try but they won’t taste as good. Fair enough. Is there a way to make them in advance for the same day? If you make them in advance, they won’t be crispy. My batter had a dough-like consistency as well. Should the water volume be 2/3 cup? I measured my flour and cornstarch by volume – not weight (though I used scant 1/2 cup of sifted flour and scant 1/4 c. sifted cornstarch). That may have been the problem. The sauce wasn’t very good. It tastes like watered down soy sauce, and if you look at the ingredients, that’s all it is. The flavor of this dish comes from the browning technique used on the chicken. I have LOVED every recipe I have made from this website, but this one was a miss. Hi Shannon, I think somewhere along your cooking, there must be a misstep or wrong measurement. This recipe was tested twice and the batter recipe always works for me and should NEVER be doughy. The egg white and water and when you add chicken into the batter, they dilute the batter. If anything the batter would become runny and not doughy. The sauce is soy sauce, sugar, and rice vinegar. It’s not watered down soy sauce. The recipe came out exactly like the photos, and the recipe had been tested twice. Many people have tried with great success and I personally love this Sesame Chicken recipe. It’s very tasty. Love this recipe! The first time I made it, my chicken was nice and crispy. The last couple of times it came out, the batter was soggy. What do you think may be causing this? I thought I may be adding the chicken into the sauce too soon and it’s not thick enough? Thoughts? Your chicken is probably wet. Pat dry the chicken and they should work. Pat dry the chicken before it goes in the batter or after I fry it before it goes in the sauce? Did I say anything about pat dry the chicken in the recipe? Wasn’t sure what to cook tonight for dinner..And as always I turn the Pinterest for new ideas, not just cooking, everything is the Pinterest. Anyway found this recipe, and even though I didn’t have sesame seeds I decided this looked good. And boy was it..Used apple cider vinegar, as I wasn’t prepared for Asian cooking. A1 recipe..Even the 21 yr old twins that never like anything that doesn’t come through a drive through window loved it. Definitely another go-to from Pinterest for me..Thank you…. Hi, looking forward to making this. I noticed you must have left out a word for the sesame. You wrote “1 Sesame, white”. For us non-asian people, it may be helpful to write “white sesame seeds”. But anyway, how much sesame seed? 1 tsp? 1 Tbsp? I wrote white sesame, for garnishing. So it doesn’t really matter. Up to you. Would I be able to substitute honey for the and if so would measure be the same? Yes you can. Just taste it, I am not sure how sweet your honey is. Thank you! It turned out great! I added some cayenne pepper for a little kick and some sesame oil to the sauce and batter ;) This is the first Asian dish I have made with success at home ? My husband said it’s better than our favorite takeout! Just discovered your recipes. I am going to pick up a few of the ingredients I need tomorrow.. I am MSG allergic so if I can make my own delicious Orange Chicken or Broccoli with Beef I will be in heaven. I made this tonight and it was fabulous! We could really taste the soy sauce, but maybe ours is a little too strong. This time around I used Kikomans. What do you suggest to fix that? More sugar? Another brand of soy sauce? Either way, my husband loved it and said he would eat it again. I could see trying the chicken with different sauces too…lemon, orange…the posibilities are endless Win! So happy to know that you loved my sesame chicken recipe. This was so good! Not a drop of anything was left. We practically licked the pan clean. Next time I’m going to use orange juice instead of water in the sauce mix for an orange chicken variation. Thank you for this wonderful recipe! The coating on the chicken is just perfect! hey, can i replace soy sauce with Worcestershire sauce? want to make it tonight. No. Soy sauce will give the salty taste but Worcestershire won’t. Thank you so much for the recipe ! It’s one of the BEST chicken ! Made this for dinner tonight. OMG it was sooooo good!! I didn’t make any changes to the recipe and it was just perfect. Looking forward to trying more of your recipes :) Thanks for sharing! Just made this recipe for dinner. OMG. It was so tasty. I really thought it was better than any Chinese restaurant that I have ever been to. My Boyfriend would like me to make this again tomorrow! The sauce was on point and the directions were easy to follow. Thank you for the video as well. Paired this dish with blanched broccoli florets and cabbage pancakes. Only make this recipe if you want to be disappointed when you go out to eat at you favorite restaurant. The flavor is amazing.I have used the batter alone for the vegetarian in the house and that alone is awesome. We now refuse Togo out eat and make this once or twice a week! Yes you can add sesame oil! This was really good but I did forget the garlic and realized at the end that I didn’t have sesame seeds after all. The way it came out was really just perfect for all the members of the household and they wished I had made more. The best recipe, sooo delicious, thank you! Made 2lbs of it this evening, we loved it, and always make enough for leftovers. I use peanut oil for frying, and added red chili oil and a little sesame oil to the perfect sauce you designed. (sesame chicken in particular). Very happy to have found your website, it’s wonderful. Made this for lunch today and it was a hit! Simple to follow and delicious! The kids loved it and my husband said its his new fav dish! Thank you all the way from New Zealand! After mixing chicken in sauce, and turning the heat off, the sauce turned sort of gelatinous…. what did i do wrong? The sauce thickens. Yes, did you use corn starch? My son challenged me to make sesame chicken as well as his favorite Chinese spot. I think mine (yours) was better!! I had the same issue with organic flour, but added more water and it was perfect! wondering if honey might be better than sugar. what are your thoughts? I used peanut oil, is that what you use? thanks for a great recipe!! Hello, um I was reading this and it looks good. Can’t wait to make it. But when you said heat up the stir-fry with the garlic in a wok or skillet. I am like where in the world did that come from? Because its not in the ingredients. Do you mean like stir-fry sauce or vegetables? Because I don’t see any vegetables in the photos. I just want to make sure! Thanks! Bee, please help me! I made one of your Asian chicken dishes a month ago, and it was AMAZING. Now I can’t find the recipe anywhere! I thought it was the honey sesame, sesame, or thai sweet chili chicken, but none of these recipes call for separation of the batter ingredients like the one I used did. The recipe’s methods called for separating cornstarch, egg, and flour in 3 separate bowls, and then dipping the chicken into them separately. Do you have any idea which one this could be?! I’m grateful in advance! Wow This is the very first time I have ever left a comment on a recipe . I made this tonight followed recipe exactly including the tip to add more water if needed . It’s was so better then going to the Chinese restraunt. Hats of to the chef …Thank you for sharing ! We are surprised and stuffed. This was a HUGE hit in my house tonight. Even my Philippine neighbor loved it. It was perfect. I highly reccomend a meat thermometer to verify chicken is done ( @170°) but we cooked until golden brown and it was pretty close to the correct temp. HINT: We really were worried the sause was not going to thicken. However just when it started to boil it almost immediately started to thicken. Also we used boneless skinless chicken breast and it was so moist….lol. I hate that word but its a true descriptive word for this. Can someone tell me how many tablespoon of ketchup? I can’t see it as I’ve punch a hole at that part of the printed recipe. When I tried to go to the Get Recipe link, it doesn’t work. Oh my goodness. This is the best sesame chicken recipe!!! Thank you. Made it for my 5uear old grandson and he loves it. 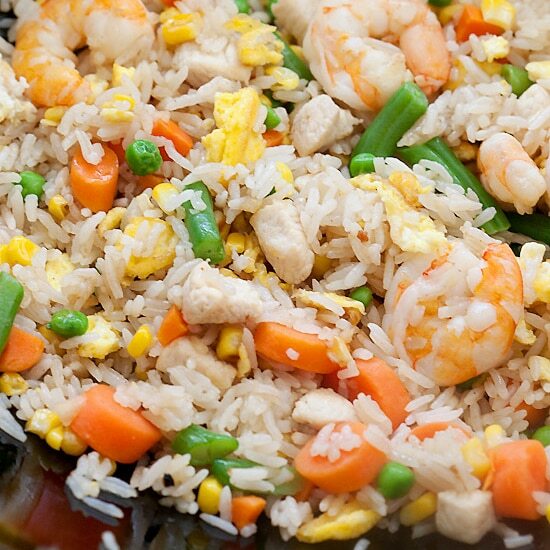 Do you have a fried rice recipe? I’m short on time or I would make this from scratch, but I made popcorn chicken last night and I have so much left over, would it taste horrible to use that as my base and coat it in your sauce? I think you can try. This sesame chicken sauce is good. Hi Katlyn, aww, thanks for trying my sesame chicken recipe, yes, it’s very good! That’s awesome thanks so much! Do you put oil in the batter? Yes, please check the recipe part. I tried this last night and all we can say is wooow it was absolutely lovely and delicious. Thank you so much sharing for recipe. Thanks for trying my Sesame chicken recipe. This recipe is amazing. However, the sauce itself is too sweet for my preference. I tried to cut down half of the sugar from 4tbsp to 2tbsp. I also added more soy sauce, and it was perfect. Thanks for the recipe! This is the best sesame chicken recipe. Thank you so much. I tried this last night and all we can say is wooow it was absolutely lovely and delicious. Thank you so much. You can just double or triple.